Speed up the mobile development by over 45% ! 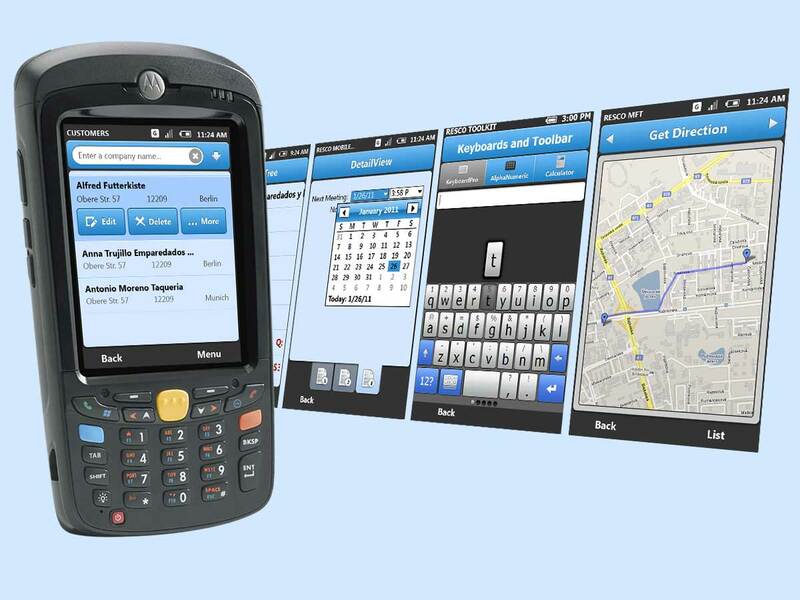 Month/week scheduling, date/time pickers, call history, GPS, maps and many more! There are unlimited possibilities what you can do with our Toolkit. You can find there complete set of components for common usage as well as advanced components that alows you display lists or grids of custom objects, charts, calendars, date/time, colors or components that helps you easily design every layout that you want. All this allows you create a wonderful application for warehose, medicalcare, transport service or any bussines and enterprise solution you need. UIElements is a set of progressive components fully optimized for touch control. They provides new visualization capabilities, smoother scrolling and animations, and features like anti-aliased rounded corners, border thickcess, padding, gradient and transparency support. Toolkit includes UICharts components for diplaying data as charts. You can find there number of various chart types supported, from commonly known ones such as pie chart, bar chart or line chart to specific ones such as Financial Chart or Multi-Doughnut Chart. Resco controls include advanced components for displaying and editing custom data stored in a list or table. It is possible to use there a custom template for row or cell where data are displayed. Resco controls set provides components for various usage. They are intended to replace standard Windows controls in the case you need more options to set. You can find there a lot of properties and methods that you have lacked during your UI designing or development. Set of icons, images, backgrounds optimized for mobile applications. This new set is available for all Resco customers with active licenses for free! 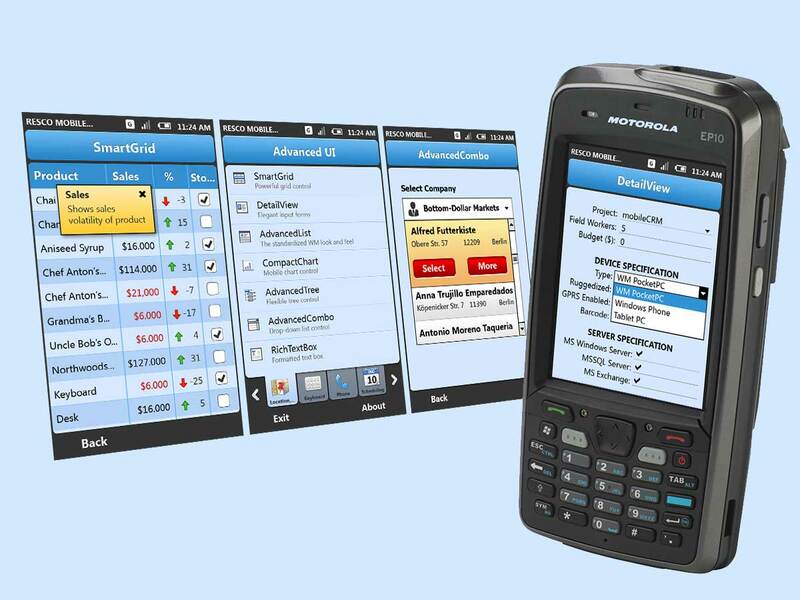 Universal interface created by Resco classes that can access barcode scanners of various devices (Motorola Enterprise, Intermec, Psion). This interface will help you to quickly set up the printing on Zebra printers over WiFi or Bluetooth. 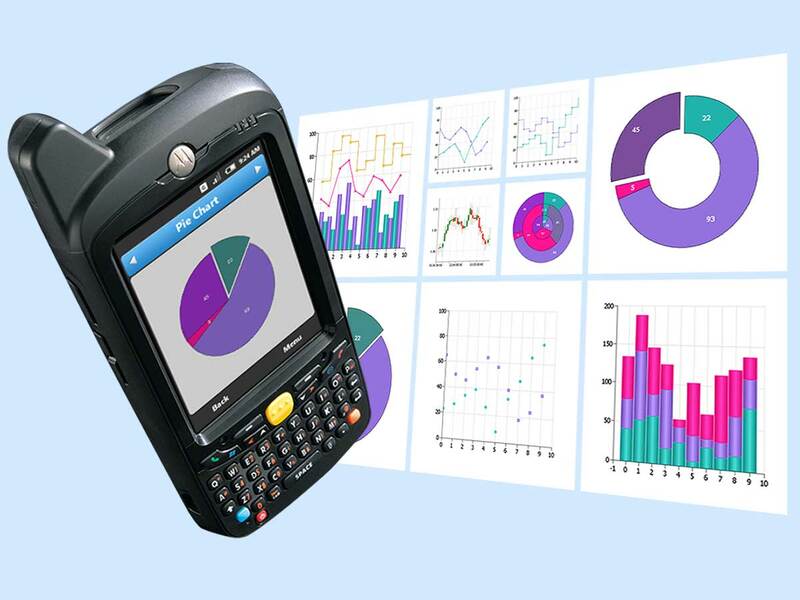 Zebras are with over 50% of market share the most popular industrial printers. Proven quality since 2003, the longest tradition in the market, continuous development and technical support is thus guaranteed! Thanks for signing up for the Resco Newsletter! Not a valid e-mail address! Your support request was successfully submitted. This is not an automated system. Our representatives will contact you personally. Stay tuned. Your demo request was successfully submitted. Your e-mail won’t be distributed to anyone else. You can also unsubscribe anytime you want. Thanks for signing up for Resco Newsletter. We’ll keep you updated on all important news in the future. Don’t forget to explore our site while you’re here. This is not an automated system! Pricing and licensing info will be sent only to relevant contact details. Our sales team will contact you soon with the pricing information.